The World of Adventure will never be the same! 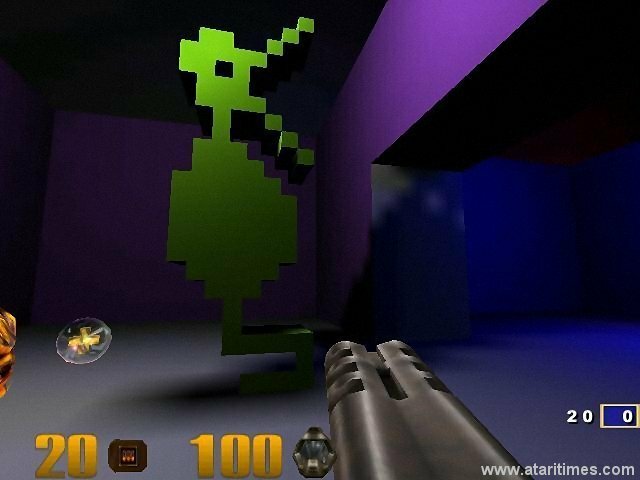 Welcome to the Quake 3 Adventure page. If you're looking for a copy of the map, get it here or you can get it on TAT's Atari CD. Haven't worked on this in ages and I've moved on to other things. Maybe one day I'll get the bug again to convert the map to another format. The Orange maze to the White Castle. 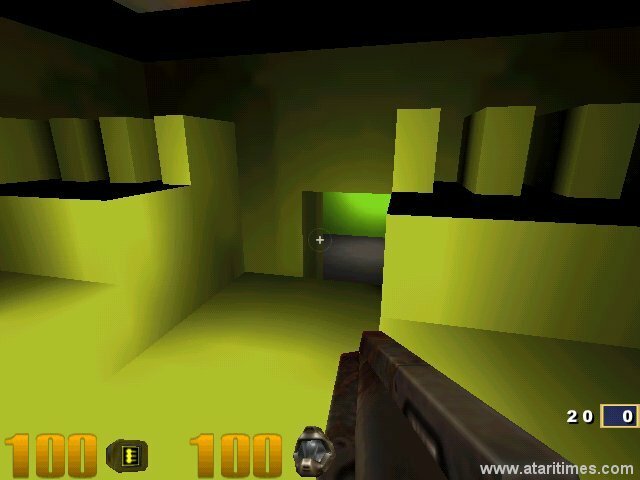 The new-improved Quake 3 version! 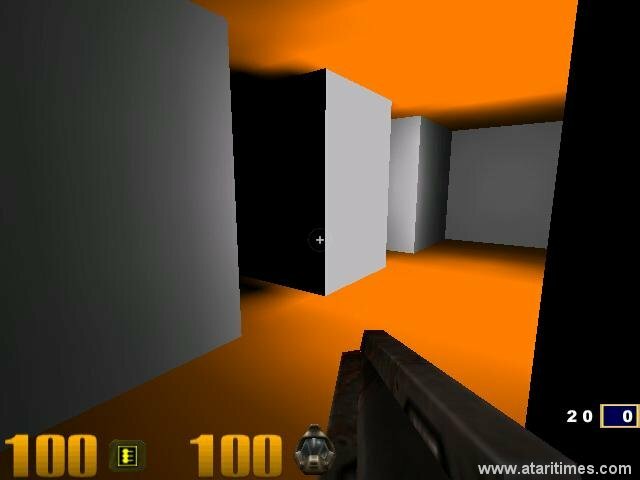 Dark and spooky with orange floors and ceilings! 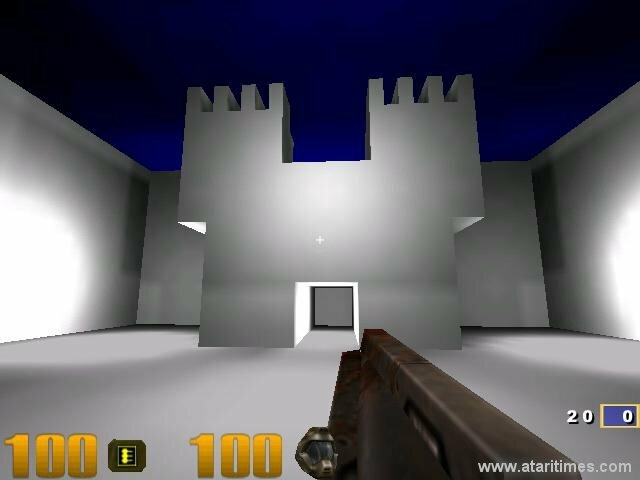 The metallic looking White Castle in Quake 3. The Blue maze to the Black Castle. 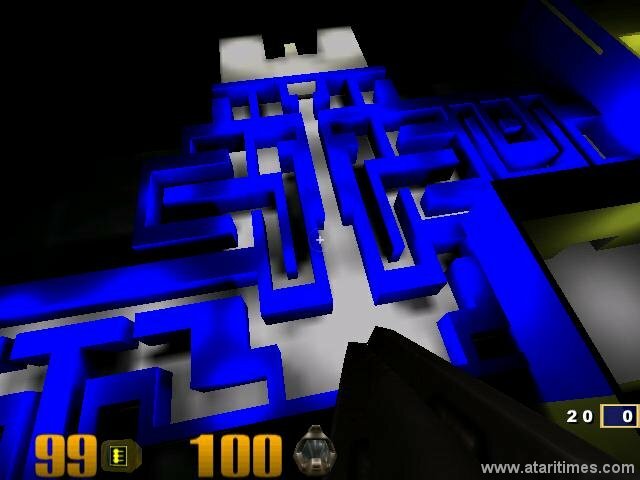 The new 3D version of the Blue maze. As you approach the Black Castle, the skies get darker and darker. This isn't your father's Adventure! 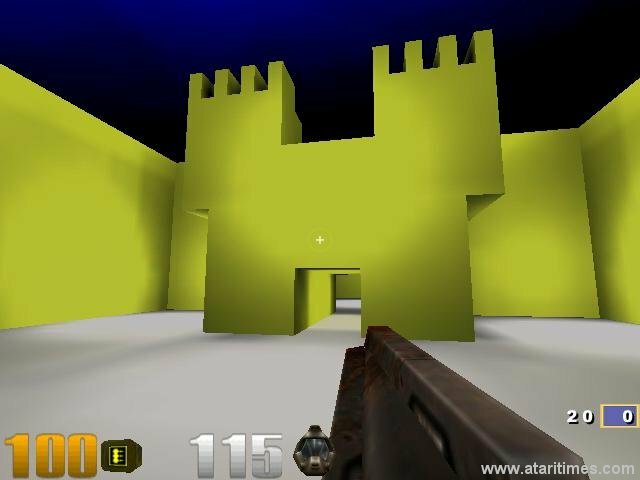 Position yourself on top of the Gold Castle to get an advantage on your opponents. Floating high above the maze for a view of the Gold and White castles. Only possible if you use the "/noclip" command. These are the rooms opposite the White Castle past the Orange maze. Colored lighting is being used to enhance the environment. Here's the bridge! It was necessary to make it a static object in the White Castle's maze in order to get full access. The Black Castle! It's very dark, but not so that you can't see where you are going. Here is one of the latest improvements to help you find your way through the mazes! Here is Yorgle, the Yellow Dragon! He's a static object for now, but he'll be chasing you around in the "Adventure" game. Grindle, in another dragon pose. If you know what the three dragon frames look like, you know what Rindle looks like now. 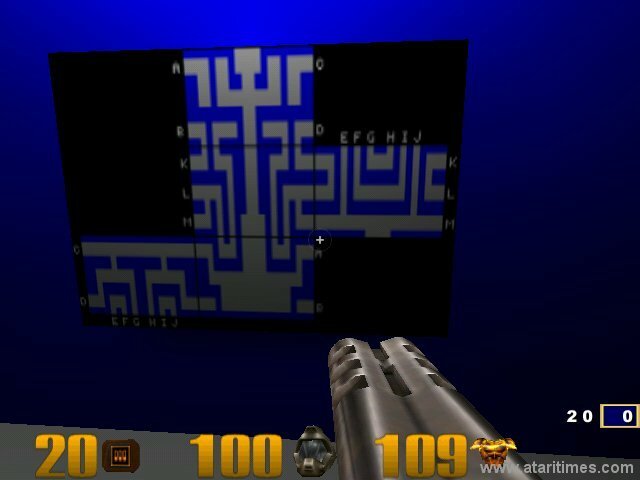 This is the map I used to create the Quake map. 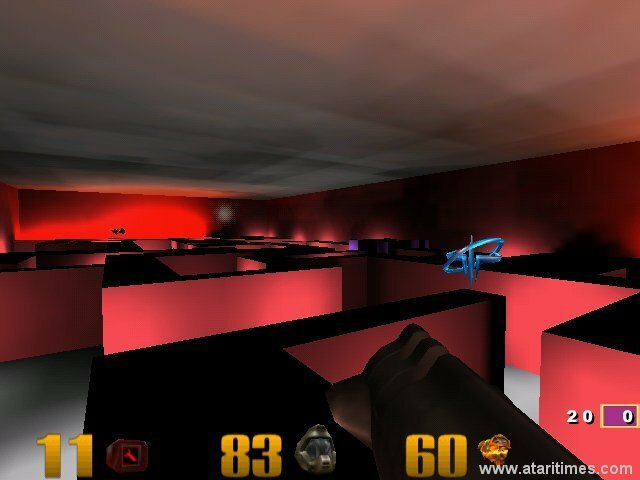 Where can I get the Quake 3: AdventureDeathmatch map? 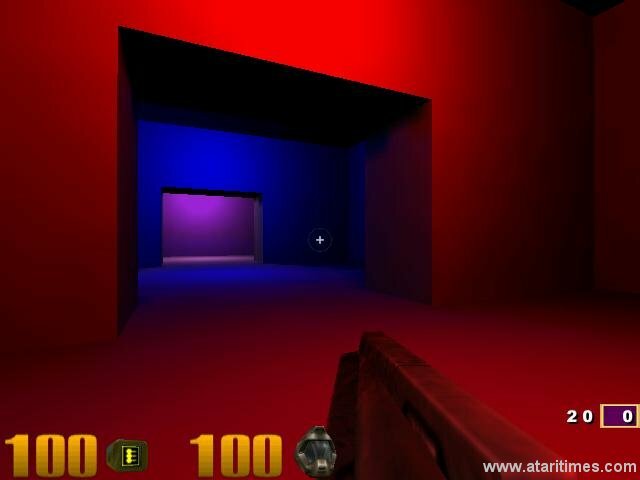 How long until Quake 3: Adventure mod is ready? It's as done as it will ever get. It's just a deathmatch map now. What tools did you use to create the map? I also used Maurice Molyneaux's excellent Adventure guide to create the map. See the graphic above. Some of the mazes loop into each other. How is this handled in the game? With teleporters! Luckily, some of them I can make transparent by creating "extra" parts of the map. Take a look at the blue maze going to the Black Castle in Maurice's guide to see what I mean. 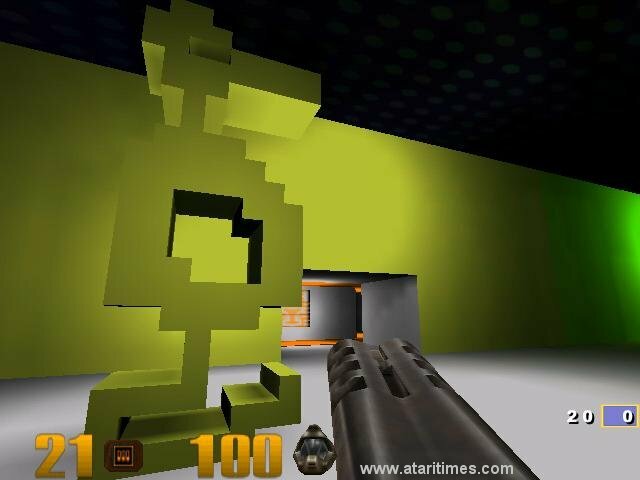 Is the secret room in the map too? Nope, it uses the actual colors from the game. They look different because of the lighting, but trust me, those are the actual colors! How are the creepy Orange maze and Black Castle mazes handled? I contemplated using fog as a way to simulate those strange mazes. 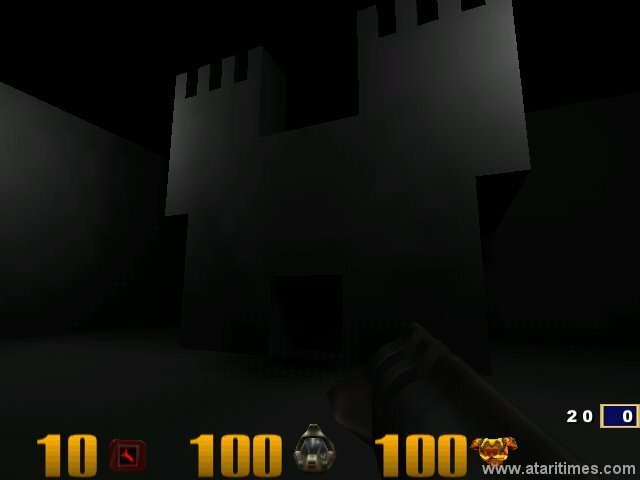 However, I think the player will be confused enough just with dark corridors. I tried using fog, but it didn't work very well. There was a Slashdot story? 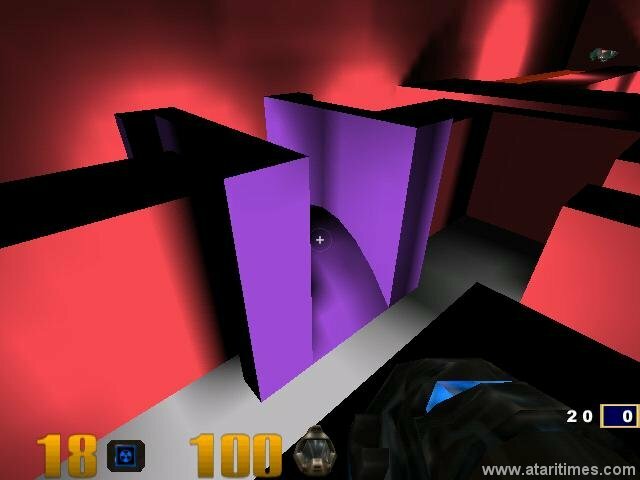 Map Testers: Gregory D. George, Steven Knox, David Frank, Ron Corcoran, Bob DeCrescenzo, & "Mindfield"
Reader Comments for Quake 3: Adventure! is there a program that concentrates on lighting the map (and gives a preview)? 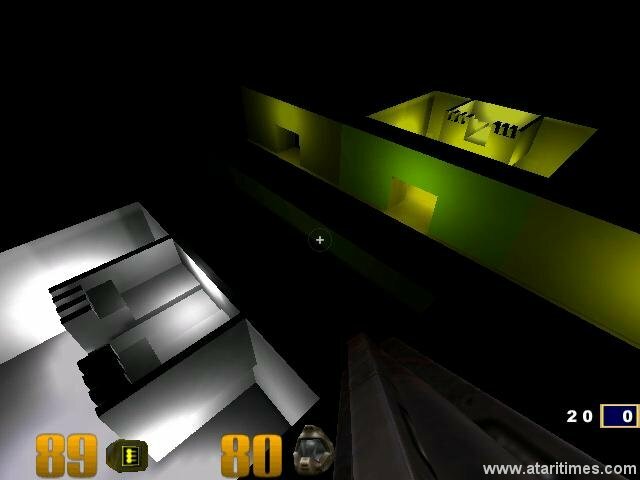 I can never get the lighting right on a quake map. Thanks a lot.